English teacher Kathryn Barker works at her desk as her return to work letter is displayed in front of her. It was sometime in February when she felt a lump in her chest. It was a few more weeks after that when she finally made a doctor’s appointment to check it out. She was at school teaching her fourth period English class when she got the call disclosing the results of the several tests she had gone through – a call that would change her forever. 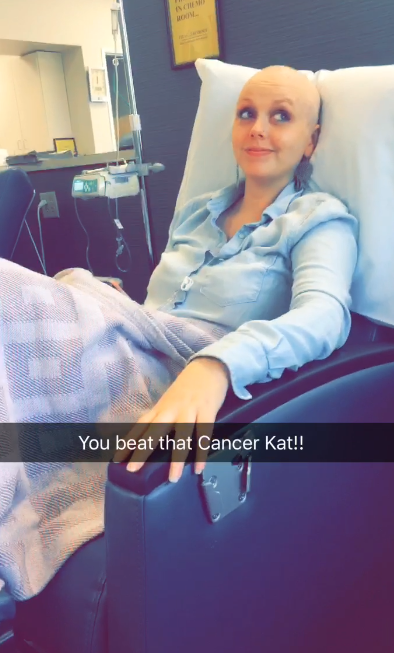 English teacher Kathryn Barker was diagnosed with Stage 2 Triple-negative breast cancer. The tumor was two centimeters and had not spread, classifying her cancer as a stage two. Triple negative breast cancer, which is not caused by hormones or protein, is considered one of the more aggressive kinds and tends to happen to younger women. 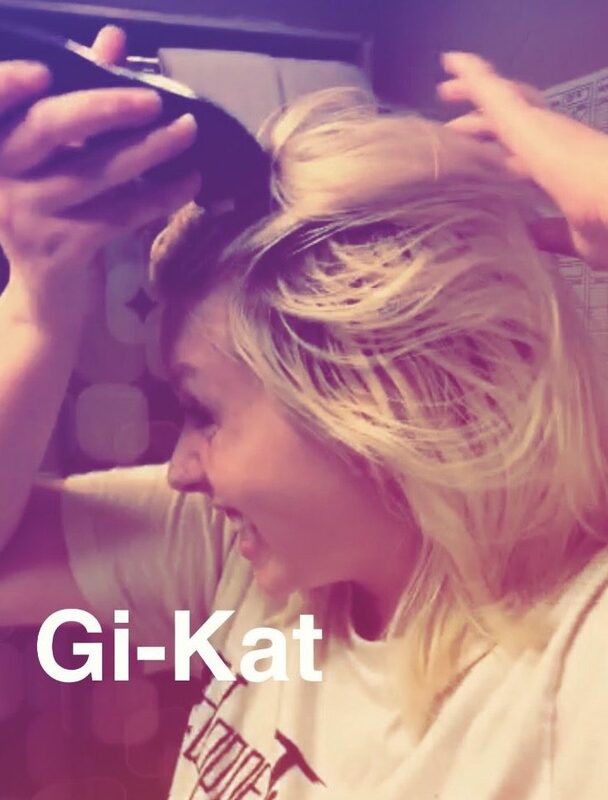 Barker shaves her hair off after beginning her chemo treatment. When Barker got the results of the test, her doctor gave her recommendations of top surgeons to call next. Barker made an appointment and the doctor disclosed all the potential side effects which she said was hard to hear all at once. The chemotherapy began shortly after on April 25 and Barker went through a total of 16 rounds. Barker felt the effects cancer and chemotherapy had on her body: she was more tired, she lost her hair and she felt nauseous. The surgery was in the beginning of October and Barker was able to begin work by the beginning of November. She said Hebron has been amazing in supporting her throughout her journey. A snapchat post dedicated to Barker’s recovery. In October, cheer coach Courtney Kennedy organized a pep rally in support of Barker, and through the “Big Blue Goes Pink” shirt sales, the school raised about $2,080 in funds. On Oct. 22, Barker received pathology reports deeming her as cancer free. Barker’s outlook on life has changed through this condition. She said she has become more appreciative of the life she has been given.